Content Warning: frequent suicidal ideation, some sexuality (in theme), alcohol use, occasional strong language and racist comments. Pray you do not think me unworthy of your ear; it was your beauty that turned me statue. I can speak Fair Lady, will you hear me if I speak Love? - Ever touching! And will you give me hope of future happiness? That, as I shall find you. The fort that's yielded at the first assault is hardly worth the taking. From The Great Duke of Florence (1627), Genre: Tragicomedy, by english dramatist Philip Massinger (1583 – 1640). The needs are same of everyone. Only the priorities vary, leading to become judgemental and forcing to conclude affairs according to the priorities of the individual. This happens all the time, each second of the day, where two individuals see the same situation differently - one is desperately in need and for the other, it’s not the his need of the hour. Meyadha Maan is based on this social theory, where the characters share bitterness with each other as and when they prioritise their needs - the same need which is inbalanced on the same scale as seen by each other. I usually distance myself from Romance genre, but I watched Meyatha Maan for few reasons - I simply can't ignore Karthik Subbaraj; the tag line - Rayapuram La La Land (I haven't seen La La Land either, but the tag was catchy); for the worderful music and finally for Vaibhav Reddy & Vivek Prasanna. The initial 20 minutes of Meyaadha Maan is a resumption of Ratna Kumar's short film 'Madhu'. 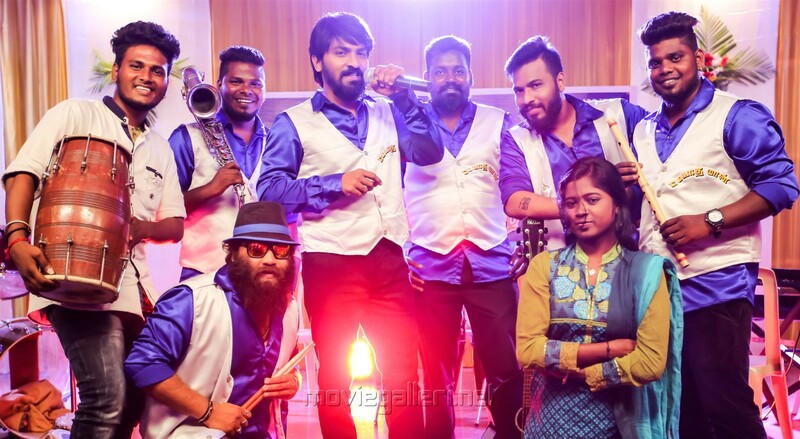 Sananth Reddy (Jil Jung Juk, 2016) who plays Kumar in Madhu is replaced by Vaibhav Reddy as 'Idhayam' Murali in Meyaadha Maan, while his friend Vinodh played by Vivek Prasanna is retained. Then the fresh piece of story - Life of Madhu and Murali - starts one year after the actual break up event. Murali is a 'bandman', organising light music for social events. He is also a silent lover of Madhu. He convinces himself to let go his three years of strong feelings for her after hearing to her insults. Leading a life, morally supported by his sister and friend, Murali slowly starts to wipe out his past when his path crosses with Madhu again. He is stroked with retribution where he urges himself to be successful and show Madhu how bright his life is without her by his side. His collapsed life starts to tremble with insults and pain when his relationship strengths with Madhu. An emotional battle reigns between them leading to war of hearts which is won by none. Or is it Murali who is fighting to lose? Meyatha Maan comes as a delicious meal for the formula movie programmed mind. The film is excellently realistic, touchingly human and very well directed. Hats off Rathna Kumar. The humour present in the writing is carefully translated to the screen. The dialogues, short and funny, are found everywhere. I don't know why, any joke on Harry Potter gets me going for a while. You got a Harry Potter mention in this movie too. The team has sucessfully exhibited their story envelloped inside a soul stiring music. When 'Rathina Katti' echoes inside the dark cinema hall, the bright screen lightens up the mind triggering a sort of fabulous emotion. The song connects the mood with the characters through its tremndrous placement and exceptional pictorisation. Another melody low in its tempo, 'Megamo Aval', glitters within the suituation. There is a wonderful whistling inside this song. Alli sinthum azhagin thuligal uyiril pattu urulum. Vasamilla mozhiyil idhayam ethayo ularum. Illai avalum endre unarum Nodiyil idhayam irulum. Aval paatha suvadil Kanneer malargal uthirum. Hats off Santosh Narayanan, Pradeep & Vivek. 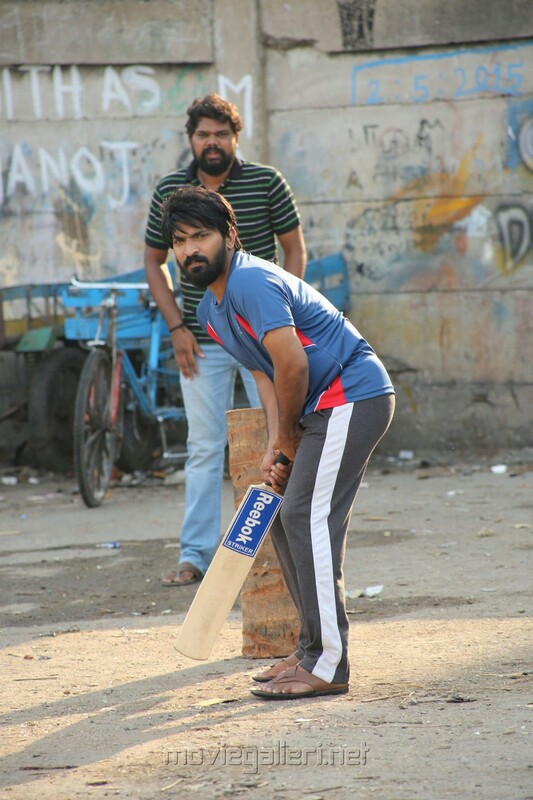 Vaibhav shows great amout of enthusiasm as Idhayam Murali. He is impressive while emoting or adapting to the need of the suituation, and the same time he is funny during reaction shots. There is this tiny sequence 'Adal udan Padalai Kettu' playing on a gramophone. The way he rolls his eyes to conceal the suition is exceptional. He also does a lot of body movements to integrate the sensitivity and demand of the circumstances. I am very glad for Vaibhav as his performance has turned out to prove his soaring scale as an actor. Vivek Prasanna, just like Kali Venkat, Ramesh Thilak and Karunakaran, is a born artist. These guys are a bright substitute to irreplaceable artists like Nasser. He delivers the speech by bringing out the needed emotions in his voice is apt. The way he carries himself during the circumstances which are not his set of affairs, but he is working for the upliftment of Murali, are very best. The energy they both have given during the hospital scene is massive. Hats off Vaibhav & Vivek Prasanna. Arun Prasad expresses his friendship delicately. He is the one who often runs around, poor fellow. The film resembles a lot to 'Enakku Vaaitha Adimaigal' (2017), strictly when talking about the efforts Kishore and Vinodh take to protect Murali. A special mention to Nithyaraj who plays as a mechanic aid in Vinodh's workshop. Nithyaraj acted in Put Chutney's promotional video of Jil Jung Juk as the tea boy. Eventhough I am against Child Labour, I must accept the reality too, but keep on working for betterment of the human condition. Children must be happy and should go to school. Only through higher eduction we can eliminate social conflicts. Anyway, every dialogue uttered by Nithyaraj attains a cult status - True kalvettu inscriptions. His Theory of Love is phenomenal. Hats off kid. Eventhough I felt Shraddha Srinath (as I like her) would have been just fine as Madhu, Priya Bhavani Shankar is an express of surprise. Her tiny facial reactions are taunting and the chudidhars she wears are fabulous. Indhuja uses her eyes effectively to express her thoughts. She is a volcano that can erupt with mixed emotion when need may rise - Excellent performance by the lead actresses. Meyatha Maan is a gem in the rough. Hats off Karthik Subbaraj. Last edited by mappi; 22nd October 2017 at 05:06 PM. One of the better horror movies of recent times; certainly better than Conjuring. The movie starts without the usual credits (a first for Tamil movies) and gets into the business straight away. Unlike many movies of this genre, the screenplay is very pacy and you don't really feel the length despite of it being 2 hours plus (with no songs). The movie gets very intense towards the end... am not going to spoil it for you. - Why did the 'annonymous caller' try to assasinate Swathi (Nivetha Pethuraj) ? - What is the backdrop behind this 'sniper shooter' episode ? - The Ending. After the murder mystery is closed (just as Bharath wished it to be solved), he receives a call from Vyjayanthi, the author. - What is the significance of 'Vyjayanthi' character ? - What is the clue that I should read from the title of her new book ? I knew that it was going to be an uncomfortable movie... after all it was about the relationship between a father and his spastic daughter... but was not prepared to be thoroughly disturbed by it. The movie begins with the premise that you don't know how blessed you are... and proves it every 15 mins. Everyone who thinks their life is miserable, should watch this internationally acclaimed movie... and in the cinema too.... as you won't last 30 mins at home, before you switch off your TV. This was the longest 2.5 hours in my life... and seriously I couldn't wait for the movie to end. And to think Paradesi was depressing. Don't let all these stop you from watching the movie... it's top-notch and deserves every praise it is receiving. But be prepared for in-the-face addressing of taboo issues.